Options in Melbourne and at home in Tasmania remain open for tough gelding Tshahitsi after his front-running win in the Listed John Dillon Stakes at Caulfield. 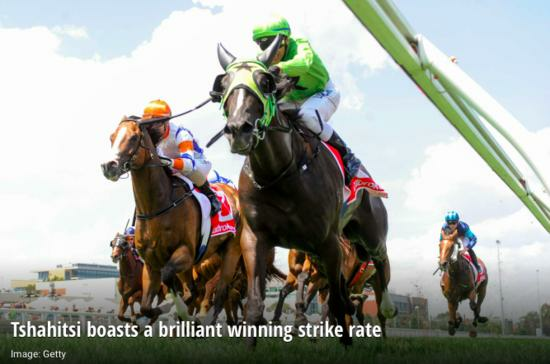 Tshahitsi won the Listed Winter Championship Final at Flemington during a successful Victorian winter campaign last year and the gelding has stepped up again to claim another stakes win in his second start of his current Victorian campaign on Saturday. After a pleasing return for fourth in the Group Three Standish Handicap on January 1, the Chris Crook and Imogen Miller-trained Tshahitsi ($3.90) took up the running in Saturday's 1400m race and continued to rally in the straight to beat favourite Dollar For Dollar ($3.10) by three quarters of a length. Wyndspelle ($6.50) was the same margin away third. "He's a ripper," Miller said.